Includes: Stovepipe hat, beard, jacket with attached shirt front, vest and tie. 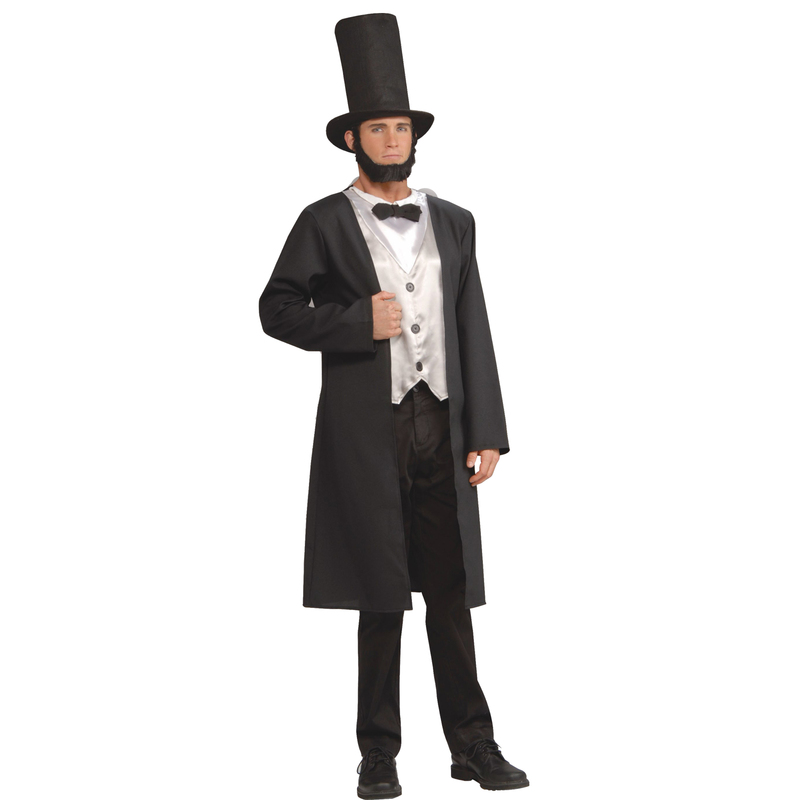 Want to wear the President look this Independence day or on Halloween? Consider wearing this knee-length black jacket with attached shirt front, stovepipe hat, beard, vest and tie on that special day. 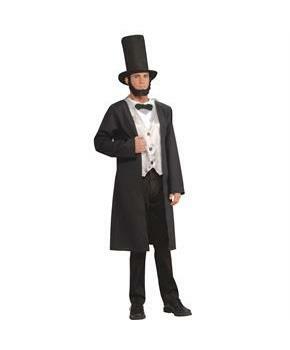 Pants and shoes can be purchased additionally to complete your Abe Lincoln Outfit.